Hoje foi o dia do Songkran, o Ano Novo Tailandês, é uma comemoração ligado a limpeza. O ritual envolve molhar as pessoas como sinal de fortuna e prosperidade, os populares usam armas de brinquedo d'água para molhar uns aos outros. 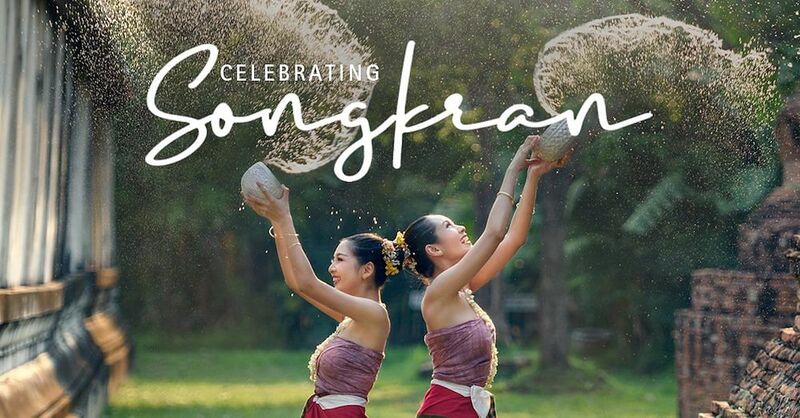 Known as the water festival, the Songkran Festival, which falls from April 13 to April 16 this year, is a national holiday in Thailand and marks the beginning of the Thai New Year. A major part of celebrations involve water, as people there believe that the pouring of water symbolises the washing away of negativity and bad luck from the year before. It’s about starting afresh and anew, if you will. Beyond partaking in age-old rituals, such as pouring water onto the scared image of Buddha, in major cities such as in Bangkok, festivities are taken on another level, with mega street parties and crazy water fights involving water guns and balloons. It’s a rollicking and boisterous affair where people have a good laugh — they hit the streets, enjoy good food and drinks, and get utterly soaked. Although it’s not as mad in Singapore, we do have celebrations heralding the Thai New Year as well. 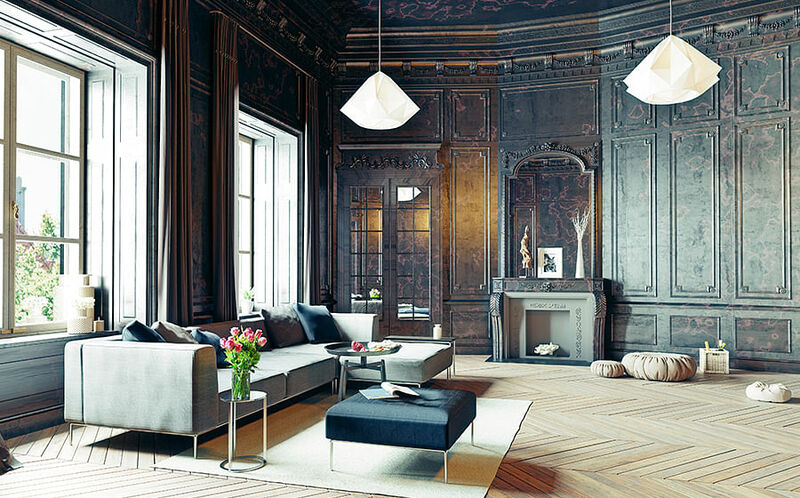 Here’s where to check some of them out. 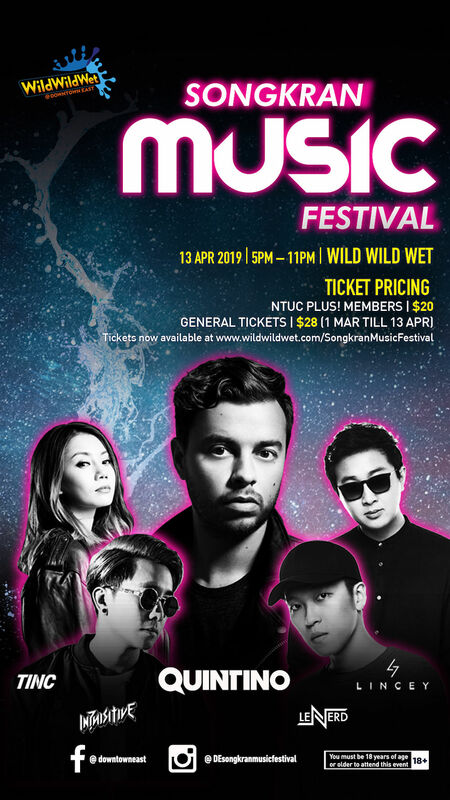 It’ll be a wild and wet extravaganza at this inaugural festival held at Wild Wild Wet at NTUC Downtown East in Pasir Ris. You’re sure to get thoroughly drenched in this party, as the water park will change its Tsunami Pool into a wet party arena with water jets blasting off and raining down on party-goers. Chug down craft beers from The Bar by Beerfest Asia and satisfy your food cravings with nibbles from food trucks by SawadeeCup & Zeroplusone, as you dance to the beat from performances by Dutch DJ Quintino (who is number 25 on DJMag’s Top 100 DJs) and local artistes Lincey, INQUISITIVE, TINC and LeNERD. With a wide variety of genres expected, including hip hop, electro, big-room and trap, and dazzling water and lighting effects, it’ll be an entertaining spectacle for everyone. About: On April 13, 5pm to 11pm at Wild Wild Wet, 1 Pasir Ris Close, Singapore 519599. Tickets cost $28 ($20 for NTUC Plus! Members). Thai fine-dining restaurant Tamarind Hill is gearing up for an afternoon of merrymaking, with good food and a water fight. The restaurant, which is housed in a picturesque colonial house boasting an outdoor patio area and a garden, is the perfect location for a great party. There’ll be live stations and a buffet line featuring 25 dishes that are traditionally enjoyed by the locals during the festival, such as Thai-style beef jerky, grilled lemongrass chicken, Tom Yam fried rice, Massaman Beef Curry and more. Oh did we mention that there will be free-flow ice-cold beer and tunes from a live singer? What fun. About: April 14 from 11.30am to 3pm (water fight at 1.30pm) at Tamarind Hill Singapore, 30 Labrador Villa Road, Singapore 119189, tel: 6278 6364. More info here. Tickets cost $70 if you buy from March 25 to April 7; after that it’ll cost $78. Buy tickets here. 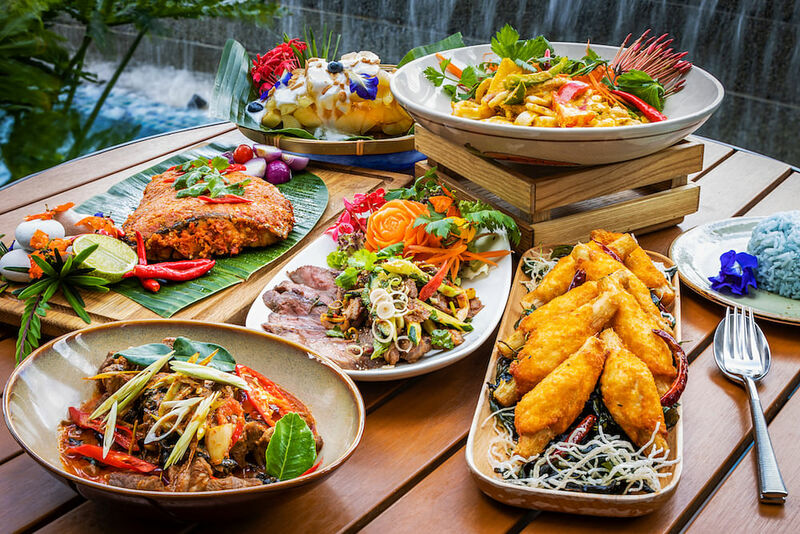 Known for its Southern Thai and Esarn cuisine, Blue Jasmine is celebrating Songkran with a special buffet menu that’s bursting with traditional Thai flavours and only available for two days. Indulge in dishes such as the mouthwatering Grilled Lamb with Cucumber and Lemon Grass and an aromatic and spicy Chiang Mai Ma-La Chicken Soup, the Stir-fried Squid with Yellow Curry Powder and Celery which is cooked in Tom Yum paste, and the Steamed Seafood with Lemongrass, Basil and Spicy Seafood Sauce. Not forgetting your sweets; dessert is a Thai Singkong, a candied cassava dish. A bonus? Guests who are stepping into the restaurant will be greeted by a traditional welcome ritual before they are shown to their seats. About: Only available on April 12 and 13, 6.30pm to 10pm, at Blue Jasmine, Level 5, Park Hotel Farrer Park, 10 Farrer Park Station Road, Singapore 217564. Price is $52++ per adult and $26++ per child (6 to 11 years old). Call 6824 8851 or email hello@bluejasmine.com.sg for reservations. Established in 1925, the oldest Theravada Buddhist temple in Singapore is celebrating Songkran with both traditional and fun activities. Sprinkle water onto an image of Buddha as a sign of respect and to symbolise renewal and give a small donation to earn some merit. 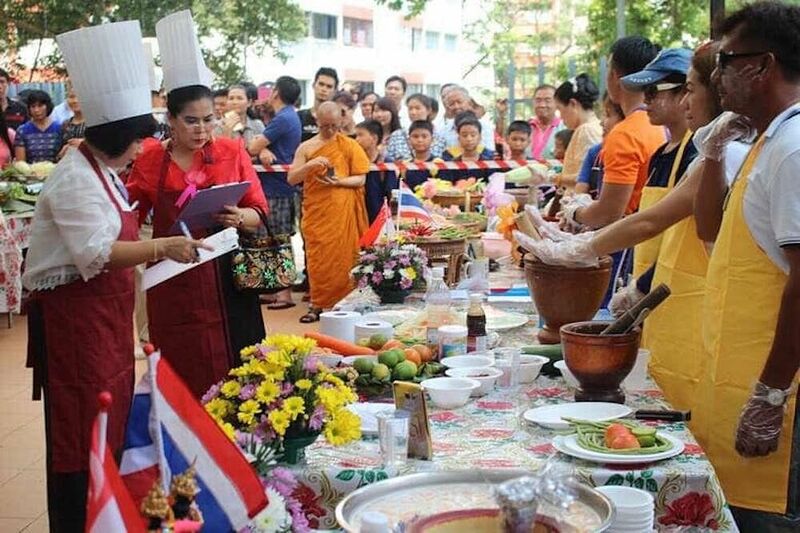 Then partake in a papaya salad contest and enjoy the Thai music and dance performances. 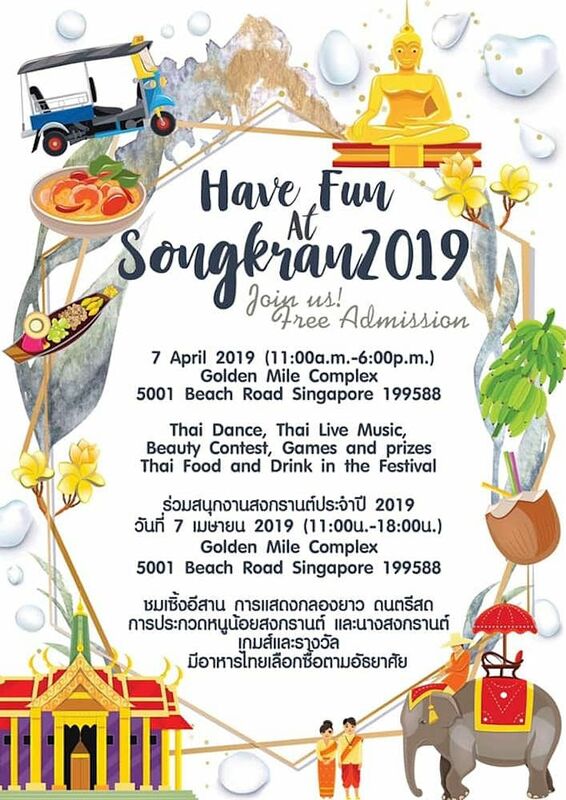 If competition is not for you, you still get to sample the free papaya salad and be entertained by the activities there. Last year, there was a grand procession accompanied by live music from an Isan band and dancing, as Thais, dressed in flower garlands and colourful garments, made their way to the temple. Visitors are encouraged to wear the traditional Thai dress that day. About: On April 14, 12pm to 5pm, at 50B Jalan Bukit Merah, Singapore 169545. Known as “Little Thailand” in Singapore due to it being an ethnic enclave for the Thai population here, the iconic Golden Mile Complex on Beach Road is probably the best place to head to for a bona fide experience. 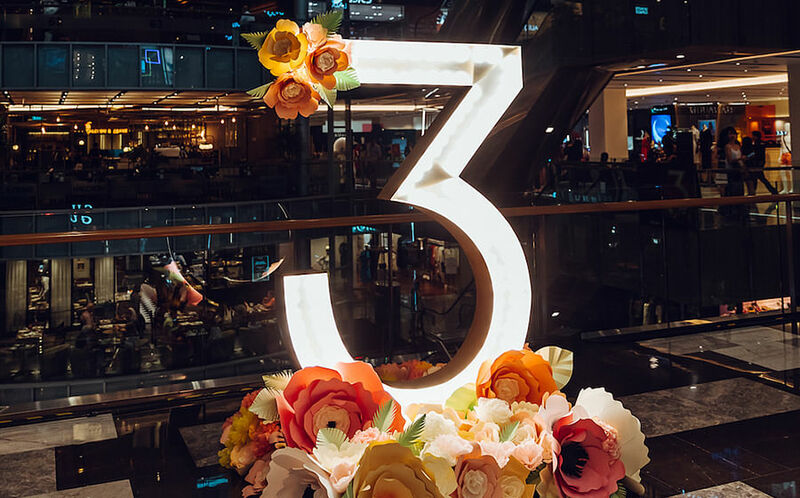 A rousing party organised by Thai Association Singapore is expected there, with Thai dance, Thai live music, a beauty contest, games and Thai food and drinks. While you’re there, head to its supermarket to get some Thai products you won’t be able to get anywhere else in Singapore, and have a tasty meal at one of their Thai restaurants run by native Thai chefs to make it a truly authentic day. About: On April 7, from 11am to 6pm at Golden Mile Complex, 5001 Beach Road, Singapore 199588.